Venus and Earth are planets in our solar system, with Venus being the second closest planet and the Earth being the third closest to the sun. The mass of the earth is about 1.23 times the mass of Venus. Being closer to the sun, Venus is a lot hotter than the Earth. 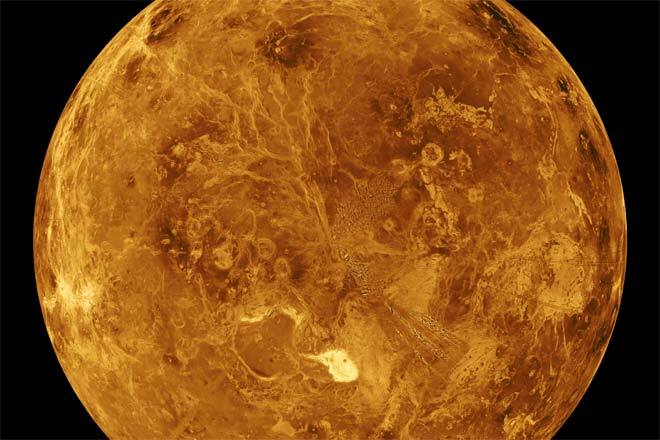 While the average temperature on the earth is about 14 °C, that on Venus is over 460 °C. Earth is the third planet from the Sun. It is the fifth largest of the eight planets in the solar system, and the largest of the terrestrial planets (non-gas planets) in the Solar System in terms of diameter, mass and density. Venus is the second-closest planet to the Sun, orbiting it every 224.7 Earth days. The planet is named after Venus, the Roman goddess of love. After the Moon, it is the brightest natural object in the night sky. 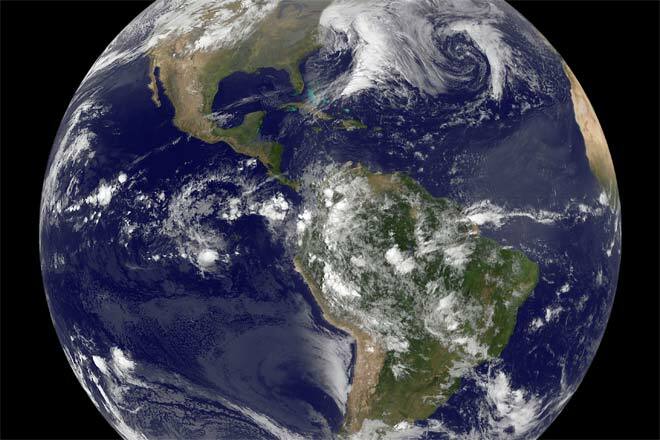 Currently Habitable; Carbon Dioxide levels increasing, however. Uninhabitable due to extremely high atmospheric pressure, extreme heat, lack of water, and atmosphere composed of primarily Carbon Dioxide. High Carbon Dioxide Pollution steadily increasing global temperatures A.K.A. Global Warming, and chemical and radiation pollution also rising. No artificial pollution: However due to high Carbon Dioxide levels in atmosphere green house effect causes the average temperatures to be hotter than Mercury's.